3M and LG Chem have entered into a patent license agreement to further expand the use of nickel, cobalt, manganese (NCM) in lithium ion batteries. Under the agreement, 3M grants LG Chem a license to U.S. Patents 6,660,432, 6,964,828, 7,078,128, 8,685,565 and 8,241,791 and all global equivalents including in Korea, Taiwan, Japan, China and Europe. NCM cathode compositions offer an outstanding balance of power, energy, thermal stability and low cost. NCM cathode materials can be tailored through changes in composition and morphology to meet a wide range of customer requirements from high-energy handheld consumer electronics to high-power electric vehicles. LG Chem plans to offer the new cell chemistry as the foundation for an affordable electric car with a 320 km (200-mile) driving range by 2017. The company, which currently makes lithium-ion batteries based on a manganese spinel chemistry for Chevy, Ford, Hyundai, and Renault, said the next-generation technology would boost energy while reducing cost. 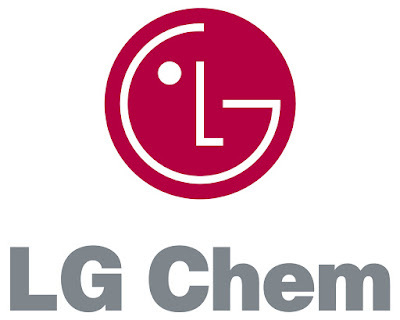 LG Chem says it would begin to offer large capacity lithium-ion batteries that hold between 80 and 120 kWh targeting a single charge range of 300-500 km. Such long-range EVs have the potential to dramatically shake up the electric-car landscape and appeal to a larger audience.